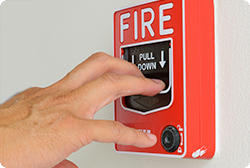 Every business should have a fire plan and conduct regular fire drills to ensure employees are prepared for emergencies. Safeguard against fire in your store by making sure your team is fully trained in Fire Safety. This online training module gives instructions for what to do in the event of a fire. Employees will learn the store’s fire plan, where fire extinguishers are located, and what their responsibilities are if there’s a fire.